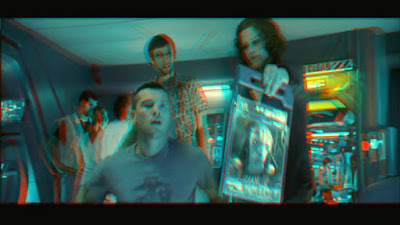 The tag-line "not your father's 3-D" has appeared in film marketing and 3-D movie reportage since Real-D and Dolby 3-D stepped up its branding in early 2009. Sometimes this slogan jumps further back in time declaring the current digital projection formats are not your grandfather's 3-D subtly implying that the 3-D film's of yesteryear are inferior to the films being produced today. While these statements are not wholly untrue they are misleading, by capitalizing on the public perception that the 3-D films which came before them were substandard and poorly made. I take offense to that point of view. In fact there are few films that have been released in the 21st century in 3-D that can touch the stand out dimensional films made between the 50's and 80's. I'll admit that I come from a bias point-of-view, but I plan to defend that POV today. To start, I'll give this modern version of 3-D its kudos. A primary factor to the negative reputation 3-D of the past was rooted in projection issues. This failing has to land on theatre owners and projectionists. In the 50's theatres ran 2 synchronized projectors and 2 reels of film to achieve the 3-D illusion for audiences. If, and all too often, these reels became out of sync or were miss focused, the viewing audience would experience eye fatigue and headaches, not to mention a unsuccessful dimensional image on the screen. In the 80's, due to the over-and-under focus, synchronization of the left and right eyes was rarely and issue, but focus and alignment could often be poorly projected by uninformed theatre projectionists resulting in similar complaints of headaches and eyestrain by theatrical patrons. Modern digital cinema forgoes most of these issues. It the film has been set-up properly then it is is spot-on perfect for the length of its running time. There are no film reel changes to mess up alignment or broken and spliced celluloid messing up the synchronization of two projectors. What our modern day offering of 3-D currently fails to offer is a representation of our real and true world in 3 dimensions. The majority of films being released today are family fare CGI animated features (Computer-Generated Imagery; or what the term 3D meant to most people through most of the 90's and 00's). Today's 3-D consists of movies that are produced almost entirely in a computer. Disney's first foray into stereoscopic movie making was Chicken Little back in 2005 and films like the recent Dreamwork's feature How To Train Your Dragon and the Disney/Pixar update of Toy Story 3-D continue this trend of the stereoscopic cartoon. It's not surprising that the major studios would embrace these films. 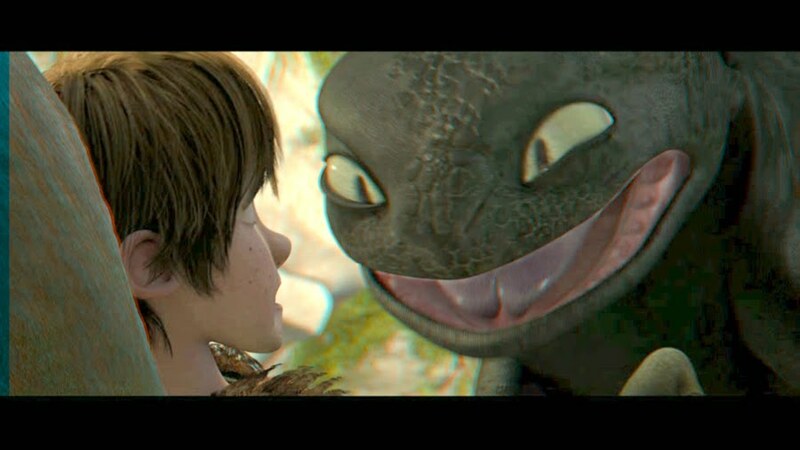 The benefits are extremely bankable; children and their parents are an extremely large market share for studios, these films can pull in a lot of capital from merchandising, and from an artistic level the stereoscopic image is very easy to control (ghosting, parallax and conversion can all be custom set within a computer often outside real world parameters). Even attempts at live action films belong in the CGI cartoon realm of stereoscopic film making. 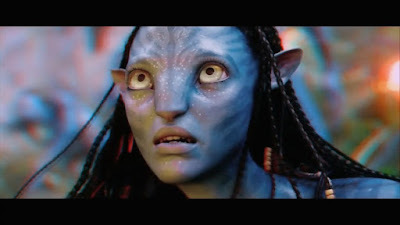 Avatar for all it's bravado and realism is 80% cartoon realism CGI. It's not surprising that reviewers have compared it the animated worlds of Ferngully: The Last Rainforest (1992) and the Smurfs. Then we get the conversion films that hope to cash in on the new 3-D boom and fall short of any true dimensionality; Alice in Wonderland, Clash of the Titans and the ludicrous Pirahna remake. There have been a few brave attempts of real world 3-D film; Final Destination 4, My Bloody Valentine and (going back over ten years) Night of the Living Dead 3-D. These films fail to impress, less by their dimensionality prowess and more by their photostat qualities (for those who don't remember the photostat was the precursor to the photocopier which rendered it's reproductions in a curious purple ink which often shed itself onto your fingers and smelt like gasoline). The films which fall into my realm of depthsploitation (cira 1955-1990) and the earlier films of the golden era of 3-D (the 50's boom) had to rely on real actors and sets infront its stereoscopic cameras. Personally, I prefer my father's 3-D, for all its technical inadequices it produced a number of creative and wholly original films. Being a father myself I hope my son will prefer his father's 3-D too. "Think about what that digital projector does, compared to the two tandem analog projectors. You try to get them perfectly aligned with one another, which is physically impossible to do because film running through sprockets already has jitter in it. So you don't have a high quality experience in the movie theatre until these glasses came along, polarized glasses which are comfortable and simple and it’s not my father’s 3-D. You look goofy, and here’s the thing: I’m looking through red and blue lenses; one eye is red and one eye is blue. How can it not look like crap? Right? It takes whatever is on the screen; it takes color, and it completely makes it-- what else can I say? Terrible." Of course Katzenberg erroneously confuses red and blue anaglyph glasses with older 3-D. Which is completely bogus. His father most likely was watching tandem projected 3-D through polarized lenses, just like the new glasses.